I believe someone has already published the book "How to Draw What You See." I would like to publish another with a very similar title. It could be of any length. At the top of each page would be printed "Draw What You See." That is all. Another book, following the present trend of bore while you pretend to teach, presented four hundred pages on how to use a wooden pencil. Can you believe it? In our Chicago gallery community we will hand out a pencil, paper, a sharpener and perhaps an eraser, tell the class to look, and move the pencil across the paper. Tin our Chicago art community, play fast rhythmic music, begin life drawing poses at much less than a minute each and shred the completed drawings before they become precious. After all, when Pablo Picasso was asked to choose his favorite work, he said, "The Next One." A respected artist friend said often, I think her only criticism, "It's too literal." Capture the essence. Let the pencil get out of focus, swivel the shoulder, not the hand, elbow or fingers for movement. When a carpenter drives nails all day, he must look only at the head of the nail or his fingers will be impossibly damaged. Let the eyes flow from the model to the pencils point and the lines it makes. Don't correct. Move on, be brave. It really works, especially with practice. Real estate agents have three rules; location, location, location. You must get practice, practice, practice. For the Chicago arts scene, get dynamic models with dynamic poses. Dancers are often the best. Don't slow down to deadly long poses. Drawing is an art in itself, not a preliminary for a painting. Don't let the painters or the detail freaks drag you down to safe, but boring slow poses. A Chicago area critic some years ago warned of the democratization of art. Entry levels have been dropped to where art instruction is often a social pastime. Six weeks into an eight week summer session, a young man, a graduate student, with his bar feet on the table before him, stated he may begin building a fence across a field. A young Cristo? In my view, the only real art for Cristo was his preliminary drawings. All children beginning school can draw. The bean counter instruction in schools forces them between the lines and out of contact with their own pipeline to what is really fine. My Chicago Art Scene would foster a proficiency in drawing before moving on. We would encourage drawing as a terminal process. I attended a prominent art studio in the Chicago Art Scene for over ten years. When I asked the master of the studio if after his thirty years in the studio was the work always this bad, he replied in the affirmative. Patrick Tanner is an Artist in Chicago. 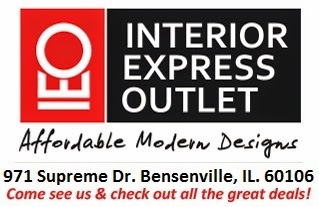 His working is currently being displayed at InteriorExpressOutlet art gallery.